Unroll pie crust onto cutting board. 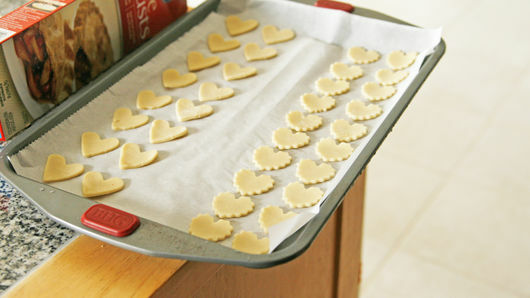 Using mini (1-inch) heart-shaped cookie cutter, cut pastry into hearts; place on cookie sheet. Spray hearts lightly with cooking spray. Sprinkle pastry with either sweet or savory toppings, using as little or as much as desired. 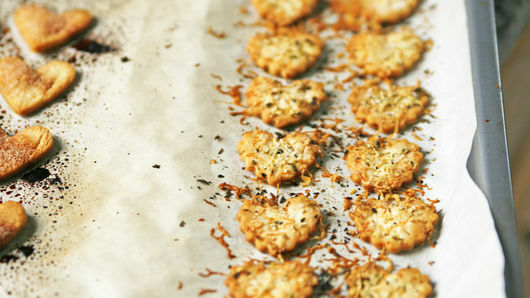 Bake 6 to 7 minutes or until crackers are lightly browned. Remove from cookie sheet; cool 5 minutes. Serve immediately or store in an airtight container for up to 5 days. 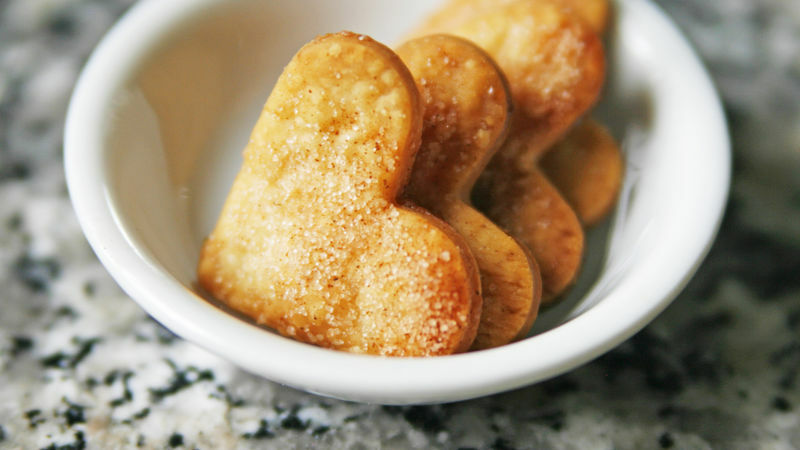 The crackers won’t spread as they bake, so place them as close together as you want without allowing them to touch. Pack these into little snack-size resealable plastic bags. Use a permanent marker to write a special Valentine message on the outside of the bag.